If Girls Trip taught us anything it's that the ladies can be just as vulgar and juvenile as any man, if not more so. 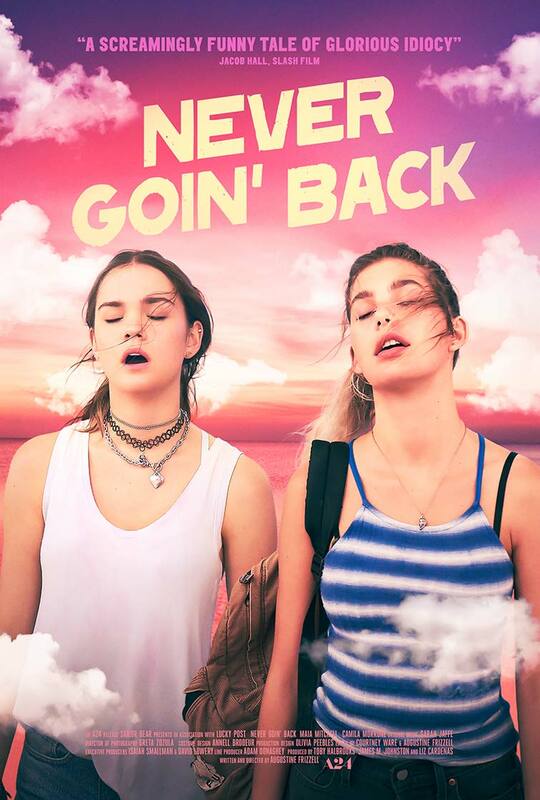 First time director Augustine Frizzell took that idea and ran with it in Never Goin' Back, a filthy comedy led by rising stars Maia Mitchell and Camila Morrone. A24 swooped in and picked up the rights after it made a splash at Sundance and SXSW, and now we're getting a look at what may be the comedy of the summer. The premise for this one is simple. Mitchell and Morrone play Angela and Jessie, two wildly irresponsible high school dropouts who just want to put their lousy waitressing job behind them so they can spend the summer on the beach getting high. And that's pretty much the whole movie based on this trailer, which is perfectly okay with me. At first glance it looks like a combination of Spring Breakers and The Florida Project, which may explain what A24 saw in it, too. They found a lot of mainstream success with both of those movies and I think Never Goin' Back has the same kind of potential. You may recognize Mitchell from her leading role on The Fosters, but this looks like quite the change of pace for her. She'll have another summer film in a few months with Hot Summer Nights opposite Timothee Chalamet. Morrone is even more under the radar but you might recognize the name of her stepfather: Al Pacino. She had a small role as Bruce Willis' daughter in Death Wish. Also starring Kyle Mooney and Joel Allen, Never Goin' Back opens August 3rd.